Shermaine advises clients on a range of corporate and commercial matters including mergers and acquisitions, joint venture projects, shareholder agreements and foreign investments. She also has experience in capital markets and securities regulation, banking and financial services and real estate transactions. Shermaine joined the firm in 2011 and became a partner of the firm in January 2016. 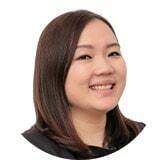 Before joining the firm, Shermaine was engaged as an analyst with the National Economic Advisory Council of Malaysia. Prior to that, she practised in the Corporate & Financial Services practice of another Malaysian law firm, where she worked primarily on large-scale cross-border financing transactions and other corporate advisory matters. Bachelor of Law (Honours) degree from the University of the West of England, Bristol, United Kingdom.